The QSS-3800G employs the industry first direct modulation on all RGB laser diodes laser engine and brings the quality and service that everyone expects from a Noritsu digital minilab - in a smaller and more cost effective package. Enjoy all the benefits and versatility of a traditional photo system in a new more efficient space-saving design. With an advanced 300 dpi industry first direct modulation on RGB diodes laser printing engine, and Noritsu's award winning imaging algorithms, your customers will love the quality. And with the ability to run up to 740 4x6 prints / hour, it is of no problem in handling any orders flooding to stores. 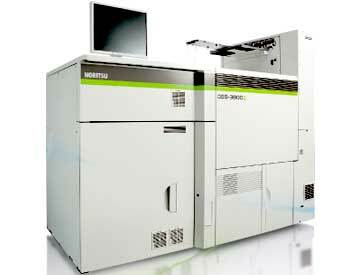 - High speed enlargement printing of up to 420 prints/hr for 10"x8"